Hong Kong Disneyland Adventureland is exactly what the name says. If you remember watching any movie about the jungle, you definitely feel it when you step into that area, especially at night. After the train ride, this was the very first attraction that we visited since stepping our foot in the theme park. 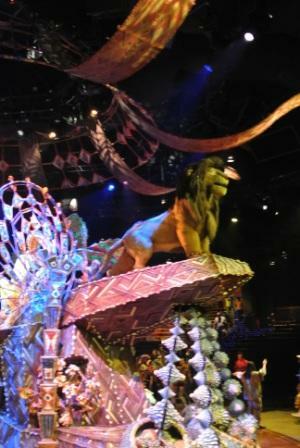 It was like a Broadway show and a shorter version of Lion King. The storytelling was in both Chinese and English. My son is a B.I.G. fan of Lion King. I remember my little one was sitting on my husband's lap to have a better view of the whole show. After we walked out of the theater, Perry told me our son's heartbeat raced crazily. He was so happy to see his Lion King live. On the way over to the Tomorrowland, 2 staff dressed like pirates and approached us. Since it was getting late when we got out of the show, we thought that we could catch lunch and come back later for other attractions of this area. But we never did. Even though the park was small. 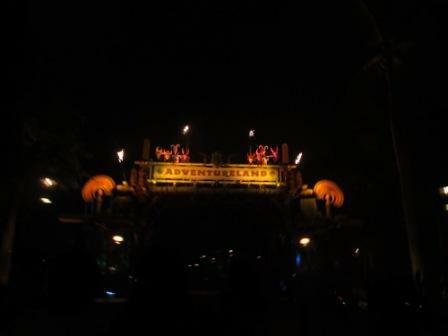 We did walk through the Adventureland several times just to get to another destination. We didn't realize that how much time we wasted just walking back and forth from one place to another. So, a good planning would be a great help. I hope next time, we would have time to catch up all the attractions in this area. 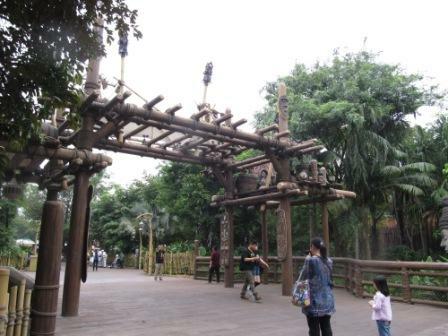 Where else did you check out in Hong Kong Disneyland Adventureland? Share your experience with us.